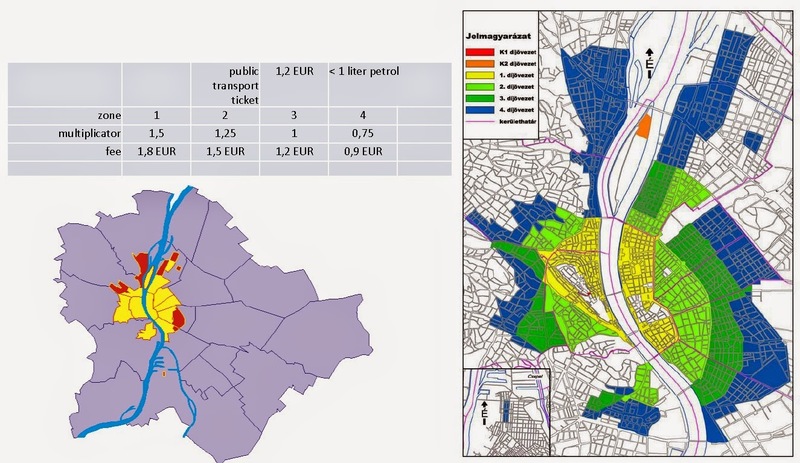 This post shares my efforts (so far) to understand Budapest's on-street parking price setting system and to find out if it uses a demand-responsive approach. During the 2000s, this city of 1.7 million people (3.3 million in the metropolitan area) brought its on-street parking under much stronger control after a period of utter chaos. 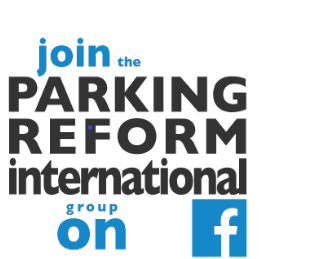 "Budapest, San Francisco, and Seattle impose or increase on-street parking fees when demand is such that the space taken up by parked vehicles regularly exceeds a certain percentage of the street length." This sure suggests a demand-responsive approach to price setting. Is Budapest's on-street parking pricing REALLY a case of demand-responsive pricing (also called performance pricing)? The committee has established four parking zones in the city; prices vary between zones based on density, transportation system capacity, and documented parking occupancy. Hmm. That doesn't sound like a purely demand-responsive price-setting approach, although it still suggests occupancy is an important criterion. I set out to look for more detail. English language searches didn't turn up anything new. So translating searches into Hungarian was the next step. This led me to a search for the Hungarian terms "Budapest foglaltsága telítettség parkoló" (Budapest saturation occupancy parking) among others. Some interesting events in 2010! The national government amended the national Traffic Law in 2010 after the Constitutional Court annulled the November 2009 municipal parking regulations, threatening the legal basis for Budapest's parking pricing. Required a 70% saturation trigger for on-street charging. In other words, the average occupancy for an area needs to be 70% or more for charging to be warranted at all. However, this does not apply to existing locations with priced on-street parking. The maximum on-street fee was capped at double the previous year's average petrol price per litre. For perspective, gasoline currently costs about Euro 1.37 (415 Florints) in Hungary. The amendments above were criticised by environmental NGOs, who explicitly advocated using a 15% vacancy target. Aha! A sign that demand-responsive pricing was part of the debate on parking prices in Budapest in 2010 at least! This seems to be a reference to the existing practice. It strongly suggests that occupancy is crucial for something! 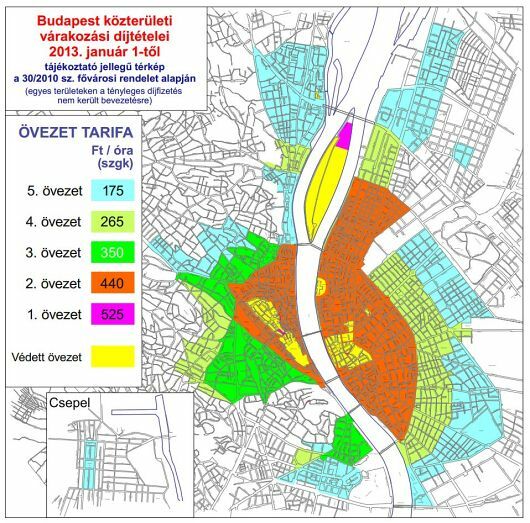 Budapest's May 2009 parking policy, which is a long document with many details, doesn't say anything on occupancy targets. Hmm. It does say that parking fees overall are based on multipliers of the public transport fare (see page 17). Each zone's price equals this base public transport fare times a special factor for that zone. When public transport fares change, so do parking fees. You can see a suggestion of this in the table next to the price map above. There are also time-limits in most priced zones, with the highest-priced zones having 3-hour time limits for parking. Maybe demand determines the zone boundaries and the price multipliers? This was the suggestion above. If so, we might still have a case of demand-responsive pricing here. I found an April 2013 example of an extension of the priced area, which was proposed in 2011 and based on occupancy. But I guess this merely shows the 70% occupancy-based trigger in action. But compare the price zone map above (which seems to be from 2009 or 2010) with the 2013 one below. There do seem to be some small changes in boundaries in the northern third of the map. This suggests that data is probably driving minor changes. So, even with the fee levels set with reference to public transport fares, and even with a cap based on double the recent gasoline price average, it is still possible that occupancy is a key factor in the price levels in each zone and the boundaries between zones. The zone adjustments and the clues from the 2010 debate above do suggest that this may be the case. But I wish I could find something explicit on how it works. Preliminary conclusion: Budapest is not exactly Shoup-style demand-responsive pricing but its price zone adjustments may rely on occupancy data to some extent. Budapest has an interesting approach to setting its on-street parking prices. And the 2010 national law makes occupancy central to decisions on extending on-street pricing. Occupancy seems to be an important element in its pricing zone decisions. If this process is methodical and explicit then maybe Budapest is a member of the demand-responsive parking pricing club. But I am not completely sure yet. Is an occupancy target range the primary factor (or even a big factor) in the price zone decisions? How exactly does it work?